Maybe the kids have it right after all. Maybe texting really is the safest way to talk (just not, you know, when you’re driving–seriously, never text and drive! Put your phone down). How could I say something quite so… scandalous? Well, if you’re as old as I am, you probably remember news stories in the late 1990s about a possible link between cell phones and cancer. The idea was that your cell phone uses all kinds of electromagnetic, radio waves to send signals to nearby towers and you hold that very powerful device right next to your very sensitive brain. Should I Be Terrified of My Phone? Here’s the thing. People have been looking for a provable link between cell phones and cancer since, basically, the day after cell phones were invented. And in all those decades, none of the data collected have been able to show a probable link between the two. According to the National Institute of Health’s National Cancer Institute (it’s not a catchy name, I admit, but they know their stuff), there is no statistical link between cell phone use and brain cancer or any other kind of nervous-system related cancers (which is good, as I’m thinking about how often I use my cell phone). Are There Health Problems Associated With Mobile Phones? That’s not to say there aren’t health issues related to your cell phone. They just don’t have much to do with the big C (which, again, is a good thing). Have a negative impact on your self-confidence (especially if you spend a lot of time on social media). Increase the risk for anxiety and depression (especially if you spend a lot of time on social media). It’s for those reasons that doctors tend to be a bit cautious about the deployment of any new technology. Whether it’s Bluetooth or 5G, the transmission of energy requires electromagnetic or radio waves of some kind, and some doctors do have concerns about the overall (and unknown) health impacts. If you have hearing aids, lucky for you: your hearing aids might help to insulate you from some dangers associated with your cell phone or mobile device. That’s because modern hearing aids typically come with built-in Bluetooth technology. This means that you can set up your hearing aids to work as speakers for your phone. Primarily, this is designed so that you don’t have to deal with odd distortion that holding a phone up to a hearing aid can create (you’ve heard the old story about making a copy of a copy…). So if you have your hearing aids properly configured, you never have to hold your phone up to your ear again. The primary benefit is that the calls you take will sound significantly clearer. The bonus benefit is that maybe you avoid some cell-phone caused health issues. In addition to that, there are some pretty clear health benefits associated with wearing hearing aids. Studies have shown that a decline in hearing can lead to social isolation and cognitive decline–but that the right hearing aid can reverse that trend. And modern hearing aids are designed to integrate flawlessly into the modern, digital age. New technology makes wearing hearing aids just another part of your daily life. And in this case, the benefits of that technology are remarkably clear. The bottom line here is that cell phone technology may have some health-related downsides and you should take precautions. If you have hearing aids, use them to sync with your phone. Bluetooth technology integrated into hearing aids is designed to make your cell phone easier to use–whether you’re texting or talking. 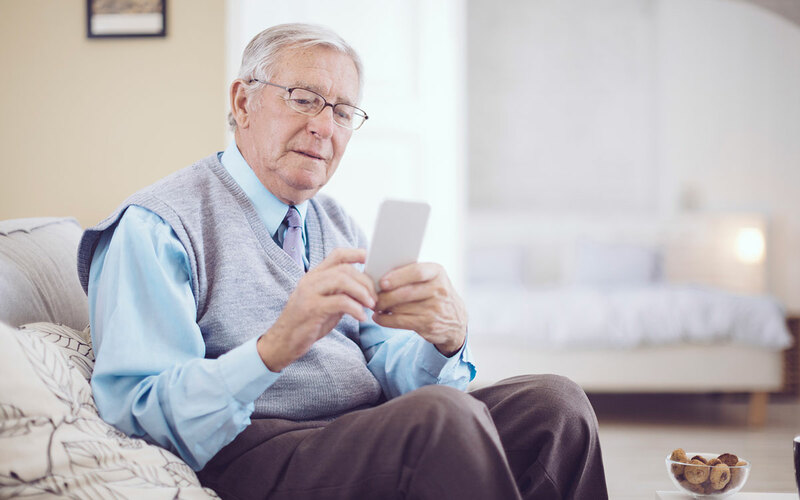 So while cell phone technology might be causing certain problems, your hearing aids will absolutely offer concrete health benefits that go beyond countering the downsides of using a smartphone.